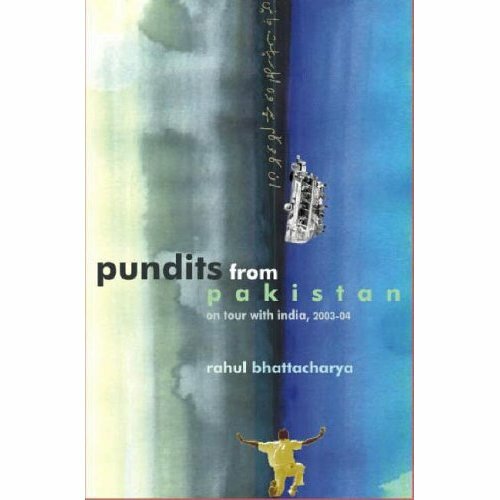 This book is a memoir of the 2003-04 Test series. Rahul Bhattacharya poignantly describes every aspect of the series, along with his own experiences and interviews as a freelance journalist. One of the things I really liked about the book was the description of the Pakistani atmosphere and culture around the matches – the crowds, the gullies, the people. I especially loved his enquiry into what has been a piercing question for most Indians – how are the Pakistanis able to produce such amazing pace bowlers, when we can’t? The unlikely answer – the practice of tape-ball cricket in the streets was quite insightful. But of course, the best part of the book revolves around the cricket – not only the play, but all the chaos generated by the play. Starting with Dravid’s heart-breaking dismissal on 99 in Karachi, going through Sachin’s lone stand in vain for 141 at Pindi (and Inzi’s 123 two matches later), the whispers of match-fixing, Sehwag’s brilliant 309, the antics of Shoaib, match declaration on Sachin’s 194, Balaji’s wonders with the bat and ball… this was a series positively brimming with tension and excitement; and Rahul Bhattacharya manages to bring it all back. I was transported to my first year in Masters, packed with so much work; and yet I managed to watch every ball that wasn’t invaded by a class. Of course each class consisted of one hour and about two hundred SMSes about the score (didn’t have a laptop at that time, sadly). A time when nothing else mattered, every waking thought was simply, magically, inevitably transfixed on the what was sport at its absolute best. For anyone who’s glued to the screen when a ball is being bowled, this book is simply mesmerizing. This was written by Anshul. Posted on Wednesday, September 6, 2006, at 1:32 am. Filed under books, reviews, sports. Bookmark the permalink. Follow comments here with the RSS feed. Post a comment or leave a trackback.